The adoptable felines at Au Chat Perché are so cute, they find forever homes shortly after they arrive! Titus is the brother of Ulysses, so good looks must run in the family! France is famed for fashion, food... and felines? 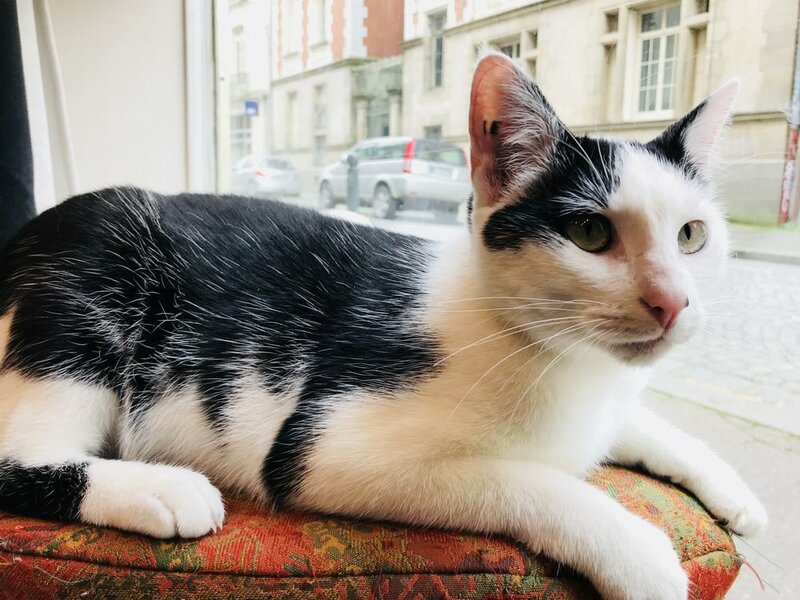 After visiting ten French cat cafes over two weeks in November 2017, I am convinced that their kitties need to be added to the list. 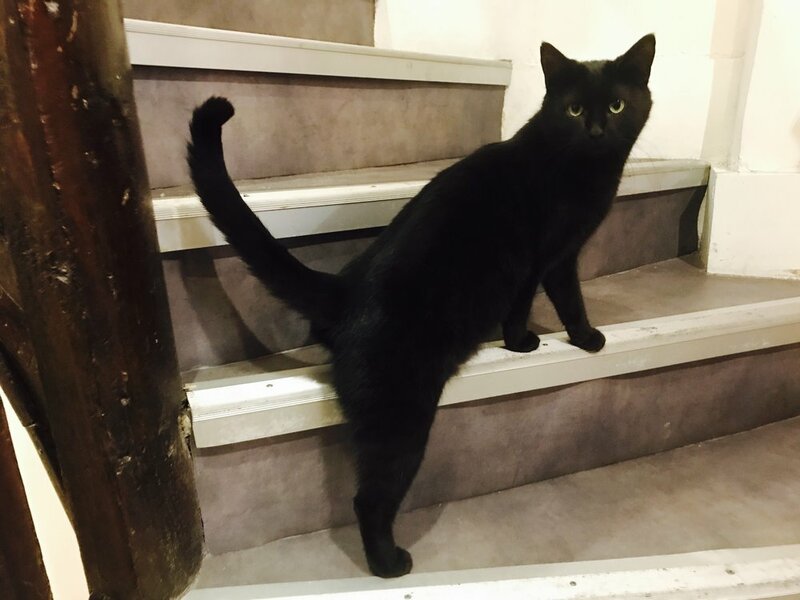 So sleek, so chic, I'm certain the term 'catwalk' must have originated here.